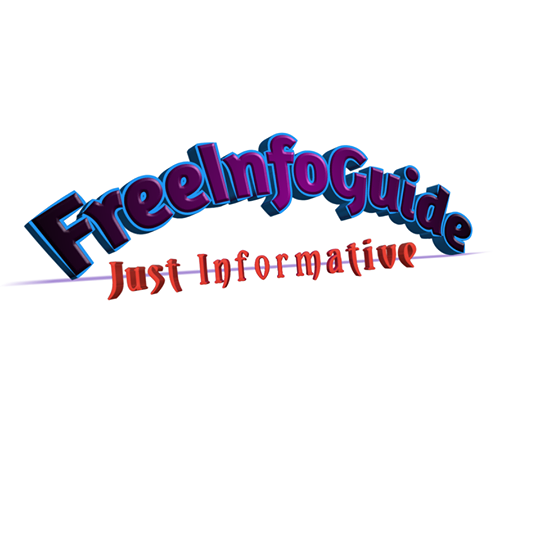 Home freeguide How To Register On Wakanda Nation And Make Money Easily. Earlier this month I made an article on How To Make Money Online Using Wakanda Nation and in today's article I'm going to guide you on How To Register On Wakanda Nation And Make Money Easily. If you have not read the earlier post I'll advise you do so now before we continue. Welcome back. Having read the article, Now it's believed that you already have the full understanding of Wakanda Nation and how it works. The next thing to do now the registration guide. 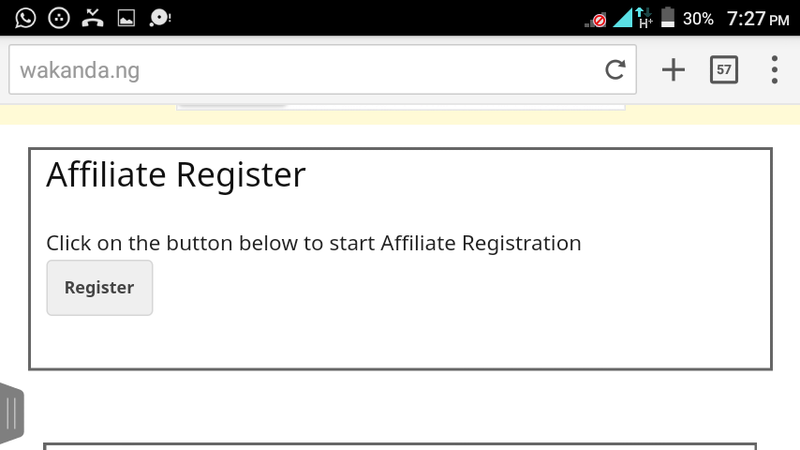 Click on the affiliate registration as it appears on the screenshot below. 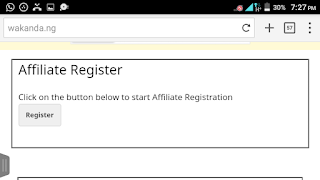 A page will open for you to still make your choice by clicking on the affiliate registration link. After click on place order the next page is where you will click to enter your card details and finally make the payment. In summary There are two means of making payment and both are automated to activate your account during your registration. You can pay with your ATM CARD or buy COUPONS from any of the Wakanda Coupon Vendors. List of Coupon Vendors and their contacts are on the website. Don’t pay money to anyone not listed on the website if you are using the coupons. The best form is the ATM card process, as you register, quicklily go through the payment section and various payment options will be displayed for you to make your choice. Please, DO NOT deposit or transfer any money to their corporate bank account. Use your ATM to make payment. 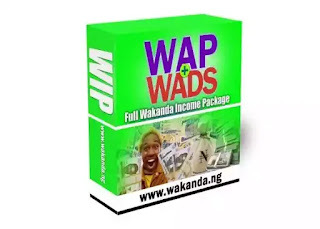 How can I register and make money on Wakanda Nation?